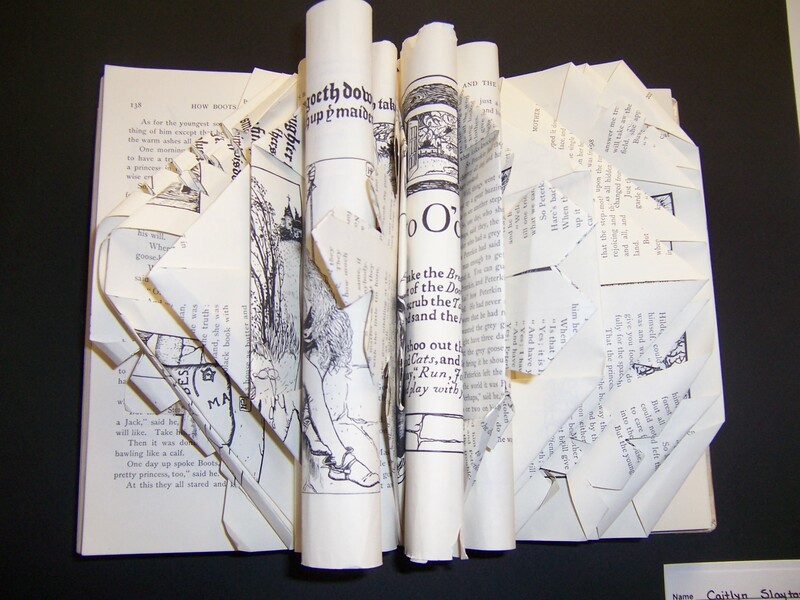 Fifth grade students designed and created sculptures form “weeded books” from our library. There were books destined for the dumpster because the non-fiction was out of date and/or they weren’t in good enough condition for use in the library. 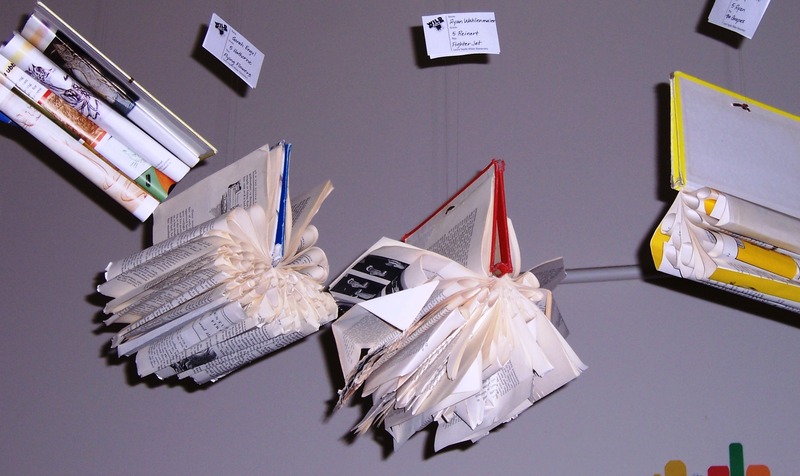 We were able to upcycle the books as precious materilas for sculptures. The students planned books according to a theme and planned the techniques used, as well. 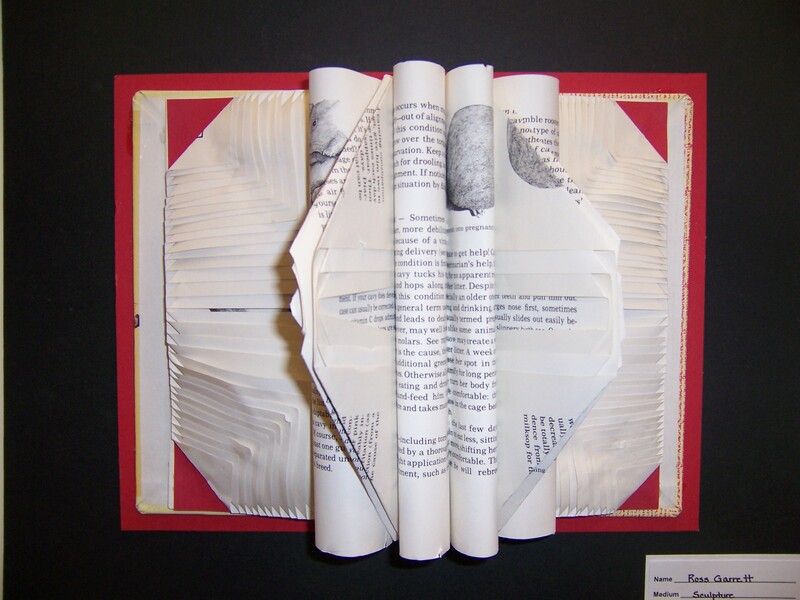 Each book took considerable creative problem solving to produce. Each book was unique and different and beautiful. Enjoy! 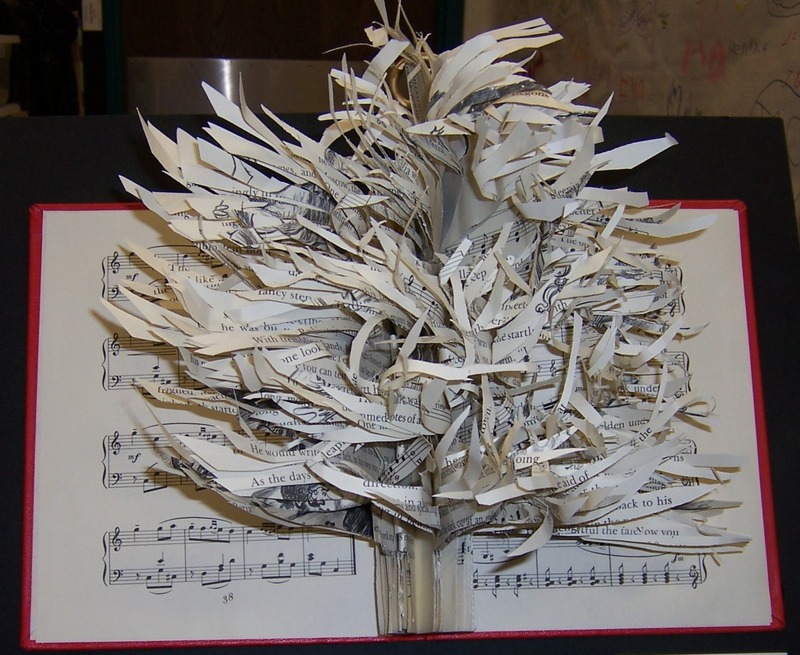 This entry was posted in Fifth Grade, Sculpture and tagged book sculpture, Fifth Grade, recycled material, sculpture by Wilder Paint Splatters. Bookmark the permalink. This is also fantastic! You’ve got my mind racing with new ideas ahead of my new semester course … now how can I make something like this work with my little ‘uns (3-6 yr olds)…?